This course will introduce students/residents to social and health care systems and determinants of health and the impact on the oral health of the individual and population. Students/ residents will demonstrate the ability to access and describe the use of population-based health data for health promotion, patient care and quality improvement. Describe social and health care systems locally and nationally and determinants of health and their impact on the oral health of the individual and population. 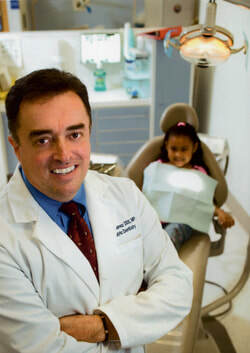 Describe the oral health status and needs of the US population, including the undeserved, and minority groups. Describe the role of social and community factors in both the onset and solution of public oral health programs, policies, and interventions. Describe the different US social welfare systems, healthcare systems and health insurance systems and their implications for population oral health status. Residents participate in an activity or event led or organized by a community organization. Ex: Provide oral health presentation or training at an event to parents, teachers, administrators, or others. Residents initiate contact with community organizations and work collaboratively to improve systems of care for the oral health of children.